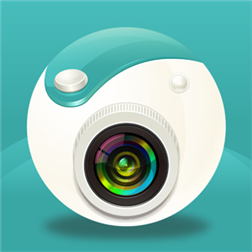 With over 100,000,000 users globally, Camera360 has become the most popular mobile camera app in the world. Now available on WP8, Windows Phone users can finally enjoy everything that Camera360 has to offer… and more! 1. Creative Compass Tool with six camera modes, with unique themes for each photo scene (Auto, Portrait, Scenery, Food, Night, Microspur). 2. Wide variety of Special Effects with Live Previews so that you can see your final photos in real time. 3. In-App Photo Editing makes editing your photos a breeze. 4. Automated Photo Diary sorts your photos by date taken, making it easy to browse and search for your favorite photos. 5. Easy Social Sharing functions helps you share your favorite moments with friends and family on Facebook, Twitter and more! 1.Fix bug that photos can not be deleted from Camera360’s album. ‘Manual Focus’ can not work if device does not support. Please contact us at [email protected] if there is anything we can do for you. Thanks.